If you are new to homeopathy seeking information, please use the links and explore the pages. 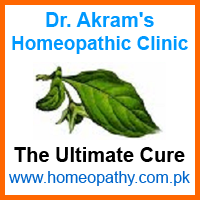 You will find all the essential information about homeopathy and homeopathic medicines. Homeopathic medicines are safe to use. If you wish to learn more about homeopathic medicines, visit this section and for information on what various homeopathic medicines can cure, look up the Materia Medica. Psoriasis is a troublesome skin disease found all over the world. The exact cause is not known but it can be successfully treated by either homeopathy or herbal medicines. We have the skill to do it. Polycystic ovary syndrome is a commonly found female disease in which cysts develop in the ovaries. It can occur from teen age to middle age and has various causes but among the leading causes are life style and incorrect diet. Polycystic ovary syndrome is not only troublesome but can also lead to dysmenorrhea, amenorrhea, infertility and several other ailments apparently not directly related to gynecology. Common symptoms are high fever, headache, severe weakness, severe muscular and joint pain. As the disease progresses, platelet count starts dropping. After a certain level hemorrhage starts. If it is not treated quickly and effectively, it might bleed the patient to death. This condition becomes quite terrifying but can be effectively cured through homeopathic medicines. Hepatitis is of many types but types A, B and C are more common having different effects on the human body. Hepatitis A is also called jaundice. Homeopathy has plenty of medicines to treat all types of hepatitis. Time required for complete treatment of hepatitis depends on its type and stage of the disease. Homeopathy has good number of medicines and great reputation for treatment of polycystic ovaries. Homeopathic medicines are also capable of treating several other problems related with gynecology. At our clinic, we have frequently and successfully treated various female diseases. Cell Phone: +92 333 4657566 – NO text message please! It will not be replied.